How do we change the impact of mental illness in regional communities and promote a concept of mental fitness? My journey as a CEO of a local community organisation and also through the joys and struggles of caring for someone experiencing mental illness, and the impact of this on our family, has always driven me down a road of questioning and searching for answers and solutions. My experiences were a perfect recipe for alternative and creative solutions to be explored. Into the melting pot went my values and desire for change the advice of a Lived Experience worker, a wellbeing coordinator from a local school, a connection to my friend Kirsty Trager’s experience of being unwell, and our joint experiences of the “mental health system”. Throughout the early days of this journey, we heard time and time again it was the apparent or perceived inability of people to access care if needed within an early intervention framework or post crisis, while recovering in rural communities that were the cause of most distress. This led us to believe that whether we are talking about prevention or the road to recovery, community and culture MUST have a part to play in that. Most of all, we had a vision that our unquestioning belief and reliance on a medical model alone was not the answer, and there was much that could be done if we could look at strengthening our communities to support each other and promote self-development and reconnecting with each other in more meaningful ways. Whether it is supporting a community to identify what they require or helping someone know what to say to their mate, the road to a healthy community comes from the people within it. 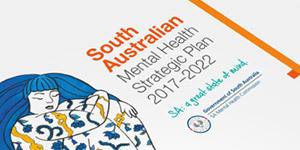 Mentally Fit EP has been on this road since 2014 and has made a huge difference in our regional communities across the Eyre Peninsula, however, we still unfortunately have a way to go. Our suicide rates continue to be over-represented in comparison to metro communities and our ability to access help and support when needed, pales in comparison to our metro counterparts. Living and working in rural South Australia can be a rewarding and challenging way of life, unique for many of us in many and varied ways. However, for many of us, it can be difficult to get the help and support we sometimes need in business, in medical interventions, and in our ability to access support services when we need them. The challenges we face can be very different to the city areas across a range of life domains and are quite often misunderstood. What is the most important aspect of a healthy rural community? A healthy rural family? There are definitive ways in which health outcomes and productivity can and are intrinsically linked in our rural communities. I hold a deep belief that the answer to my questioning doesn’t lie within more services. I don’t have all the answers, however the one certain thing for me is that it must always start with our relationships with each other. And it has to start with us as individuals. All of us grow and adapt, change and develop again and again in our lives and this is why I continually ponder these questions – sometimes I don’t like the answers I give myself. But I allow myself to feel the conflict of change and growth. I allow myself to feel the pain that life inevitably brings at times. I give it some time each day to be heard within me and then say goodbye to those feelings for the day using those questions to centre and remind myself about the bigger picture and the journey ahead. The concept of strengthening our wellbeing and learning skills that can increase our ability to cope with life stressors is exciting. It gives me great hope for the future of a Mentally Fit Eyre Peninsula. Joanne Clark is Chief Executive Officer of West Coast Youth and Community Support and won the 2017 Zonta International Woman’s Day Woman of Achievement Award. 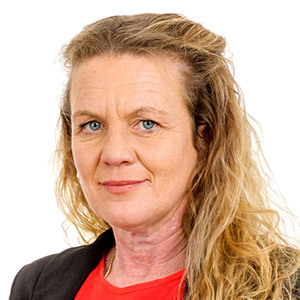 She is a passionate advocate for local responses to community need and the need for government decisions to take into account the needs of people living in regional communities. Joanne has a keen interest in the links between homelessness and poor physical and mental health as a resulting factor, not a causation of homelessness.